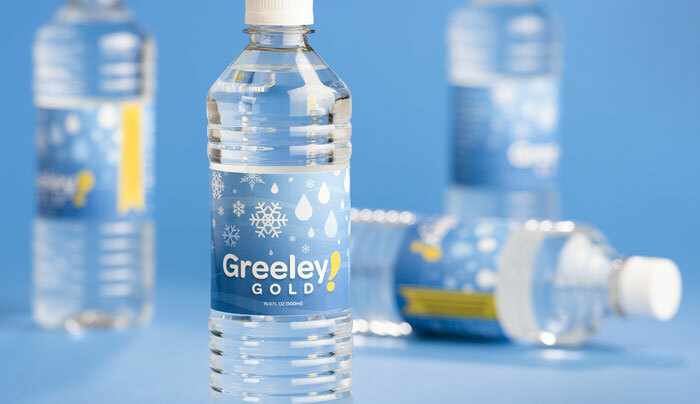 helveticka designed labels for Greeley, Colorado’s award-winning tap water – the best in North America, according to the American Water Works Association. 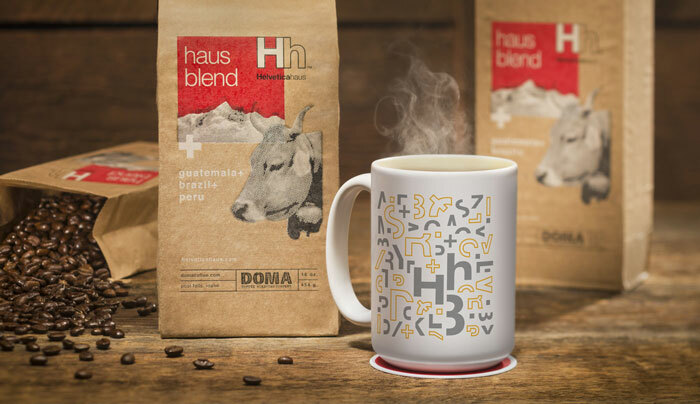 Helveticahaus partnered with local coffee roaster DOMA for Haus Blend, part of a product line devoted to Hh’s namesake sans serif font. 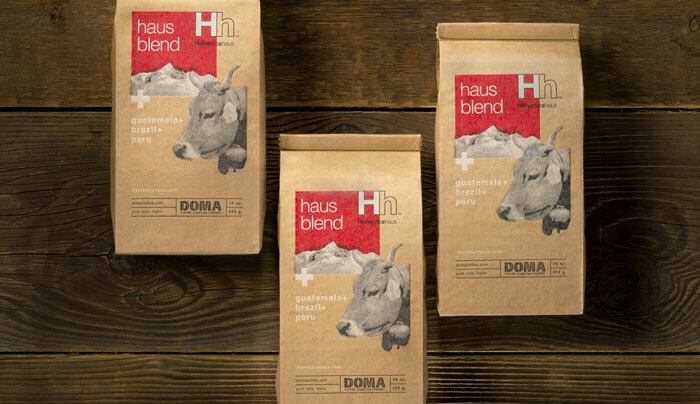 The coffee is available for purchase by the pound or through a monthly subscription service. Proceeds fund scholarships for area design students. 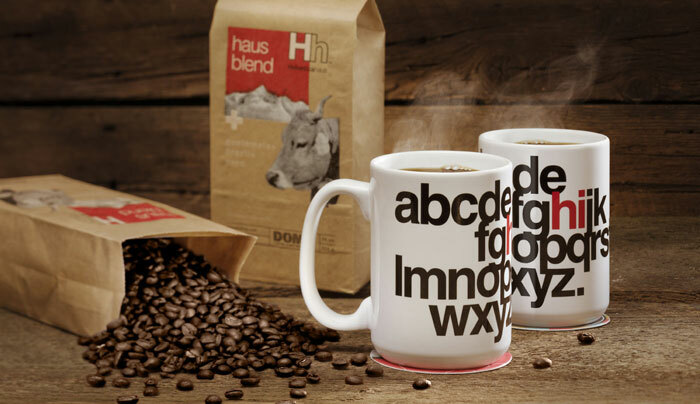 Seven distinctive Hh designs were adapted to fit on 14-ounce ceramic coffee mugs, which are printed to order locally. 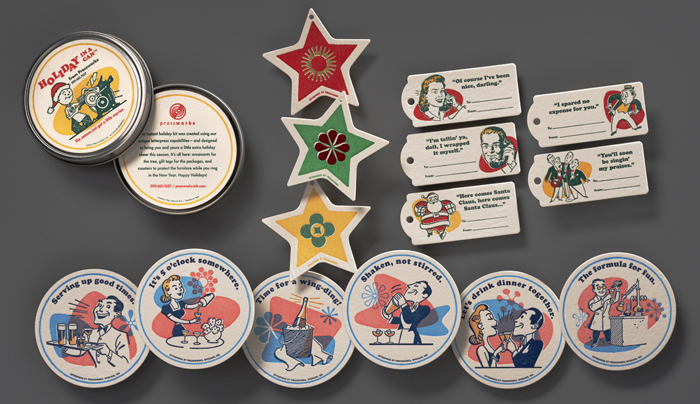 Helveticka’s unique take on Pressworks’ annual holiday card took advantage of the client’s vintage 1940s-era Heidelberg Windmill printing press. 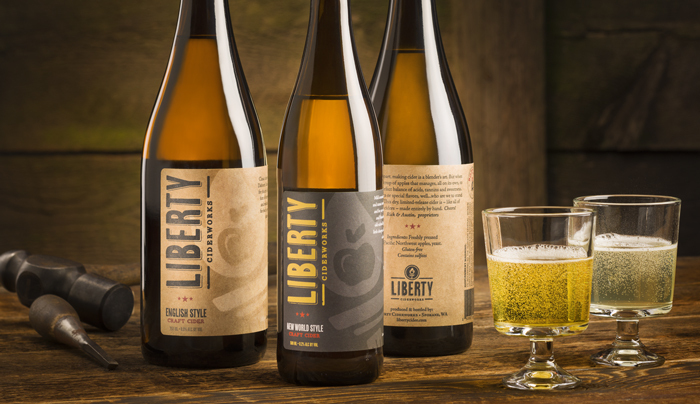 helveticka worked closely with the owners of a new Spokane cidery to develop a family of bottle labels – not only for its current offerings, but also for future products. 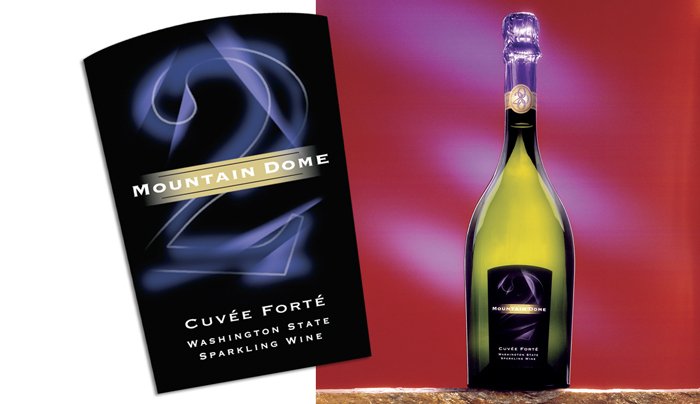 Mountain Dome is renowned for its sparkling wines made in the traditional French méthode champenoise. 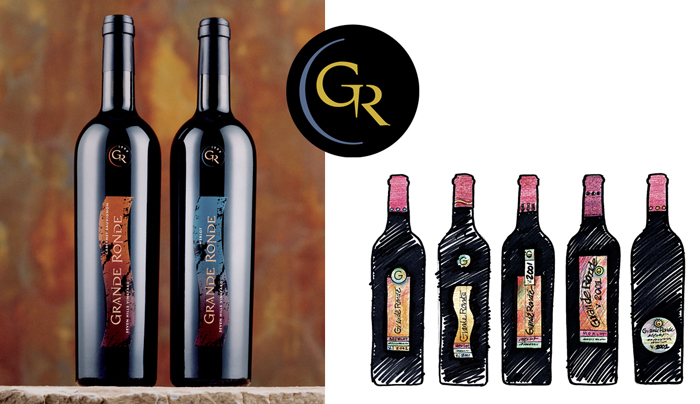 One of the winery’s finest efforts, the 2000 Cuvée Forté rang in the second millennium with a custom label. 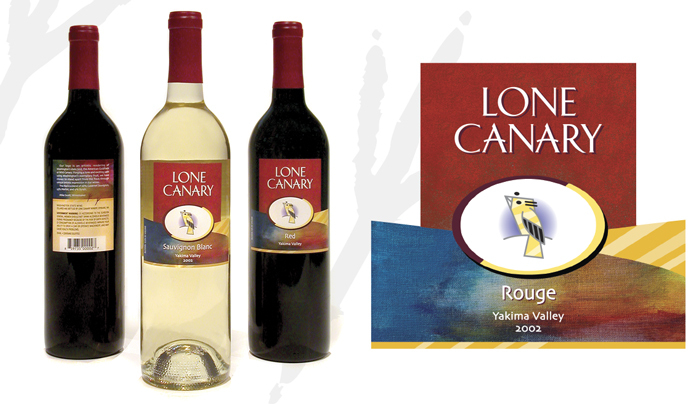 Colors and textures set off Lone Canary’s logo – which features a stylized representation of the Washington state bird – on its bottle labels.